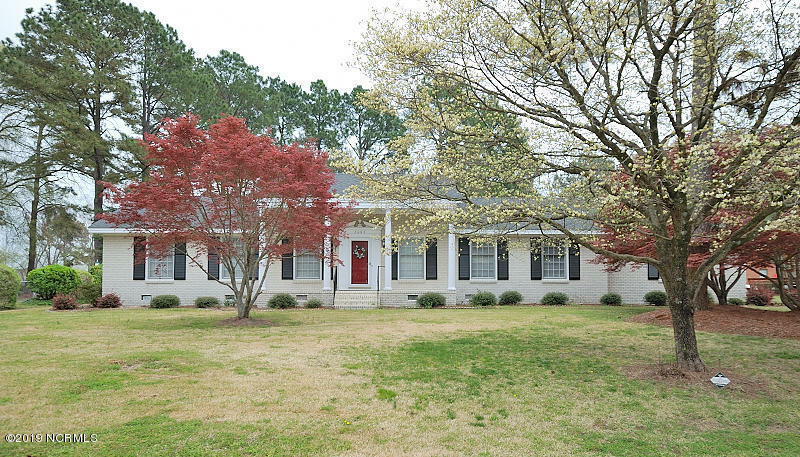 Beautiful brick ranch home with lots of curb appeal. Interior freshly painted. All formal areas plus den with fireplace. Built-in bookcases. Kitchen has tile floors, granite countertops,breakfast bar with granite countertop, and tile floor. An inviting light and airy sunroom. Hall bathroom tub is a walk in with jets. Two car attached garage. Convenient location close to shopping, hospital, major highways. Seller will give appliance allowance of $2,500.Easy to show.